I can't believe you waited this long either, but it's going to be OK. This is an updated version of one of our favorite holiday stories from years past. It’s December 23. Do you know where all your holiday presents are? If you still haven’t crossed off everyone on your list—or maybe your list suddenly expanded because your nephew is bringing his new girlfriend to Christmas dinner, or a coworker surprised you with a thoughtful gift—there’s still time to get something for them. Gift cards let them pick something out for themselves, and yeah they’re kind of boring, but thankfully those aren’t even your only options at this extremely late date. Let the Queen of Procrastination (me) solve all of your problems right now—it’s a Festivus miracle. It’s true, gift cards are kind of the easy way out, but this is the zero hour, that magical time when the easy way out also becomes the smart way out. You can email these, or print out a little certificate to give in person, thus showing how super-duper prepared you are. Amazon has some festive holiday designs, including a few that are animated, so your lucky recipient can hear dogs singing Christmas carols when they open the email. If you don’t even know the person’s email address you can probably cross them off your list just post the gift to their Facebook profile. #Blessed. Apple lets you email your loved ones both Apple Store gift cards and iTunes gift cards. But they aren’t interchangeable. You can’t use Apple Store gift cards at authorized Apple resellers or in the iTunes Store, although you could buy an iTunes gift card with an Apple Store gift card. iTunes gift cards are good for music, movies, apps, books—anything you can buy without leaving iTunes, basically, although you can’t use them to “gift” iTunes items to another person. If you try to spread the wealth by gifting your favorite album to another user, that will hit your stored credit card instead of your gift card balance. An experience can be a more meaningful gift than a thing, plus it doesn’t clutter up the house, and it can be purchased completely last-minute. Check out Groupon or Living Social for things like massages, getaways, spa treatments, and fun activities in your city. Ticketmaster makes it easy to find a live concert, show, or sporting event to buy a loved one tickets for, plus the iPhone app takes Apple Pay. And don’t forget to Google for your city’s local theater and arts scene—tickets or a membership are a great last-minute gift they can enjoy when the wrapping paper’s long been recycled. Food delivery apps gift cards are great at Christmas, plus they’re basically the best new-baby gift on the planet. Seamless offers email-friendly gifts, and so does GrubHub. And don’t forget Munchery, which delivers food in 1,000 cities nationwide—and at this writing is offering a 15 percent discount on gift cards. EAT24 participates in this “universal gift card” program from GiftRocket, but you’d only be suggesting the person spend their GiftRocket credit on EAT24—yeah, it’s a gift card for a gift credit for food. That’s...a little convoluted. But you have other options. Blue Apron is a fun way to learn to cook new dishes, and a gift card really makes sense so the recipient can decide the schedule and specify dietary preferences. If your recipient is interested in cooking, consider a gift card from Blue Apron or Hello Fresh, which send you the pre-measured ingredients to cook gourmet meals. And for a fancy night out, there’s always OpenTable, which lets you pick the restaurant or let your recipient pick for herself. I love getting new clothes, but I hate shopping. And it’s so very nice to know that I’m not alone. Luckily, some people out there love to shop and have a knack for finding flattering clothes that look good together. I’ve enjoyed Stitch Fix for women’s clothing and accessories, and I’ve heard good things about Trunk Club, for menswear. Think of these as curated fashion on demand. 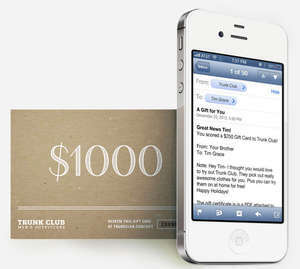 Trunk Club and Stitch Fix deliver gift cards for clothing without the chore of going to the mall. When you sign up at either place, you’ll answer some questions about your body type and personal style, and then you’ll receive a shipment of clothes in your size, picked out by a stylist. You get to try it all on at home, send back whatever you don’t like, and you’re only charged for what you keep. If it sounds a little Columbia House Record Club, don’t worry. They don’t send a new shipment every single month, only when you request one. Both services offer emailable gift cards, which will let your lucky loved one get spiffy new clothes for an upcoming season, or perhaps a special occasion like a trip or job interview—or just have a professional stylist on the lookout for that perfect pair of jeans. 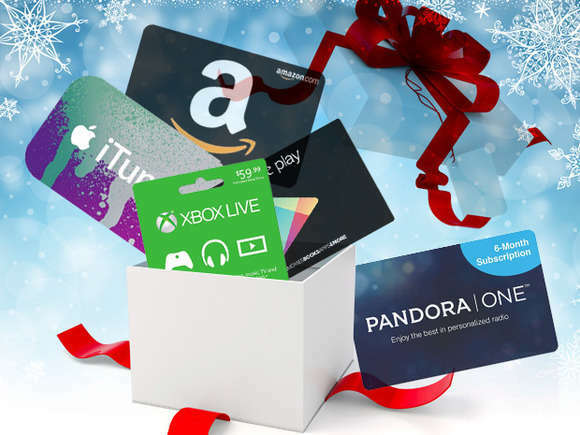 If you’re addicted to a service like Pandora, Spotify, or Netflix, share the love with an emailable gift card. (Hulu is currently only offering physical gift cards at locations like Best Buy, Target, and Rite Aid, and HBO Now is the same.) Cord-cutters would love a gift subscription to streaming package Sling TV, which has an excellent Apple TV app. You can’t directly give an Apple Music subscription, but an iTunes gift card can purchase one. Your lucky giftee will think of you every time they crank up their favorite album or binge-watch South Park for days at a time. Reading Rainbow lets you give a 6-month or 1-year subscription to the iPad app, great for kids ages 3 to 9 or their parents. For young kids or their parents, you can also give subscriptions to services like Sesame Street Go, Reading Rainbow, and the awesome all-you-can-read ebook service Epic. If you want to give a specific ebook, movie, TV show, app, or other digital gift, the iTunes Store and Amazon both make that easy. In Amazon, just search for the download in question, and you’ll see the “Give as Gift” button right below the button you’d click to buy something. 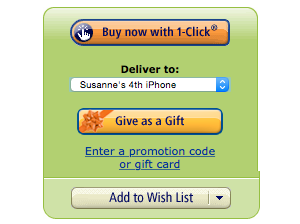 Amazon will email the gift code directly to your giftee, or email it to you so you can print it out and hand-deliver. In iTunes, first find what you want to give, and then click the small downward-facing triangle next to the button that has the price, the same one you’d click to buy. That triangle holds a menu topped with “Gift This [Media],” along with options to share something via email, add it to your Wish List, and so on. Weirdly, iTunes lets you give single TV episodes or fully completed seasons, but you can’t buy someone a Season Pass for a show that’s currently airing. 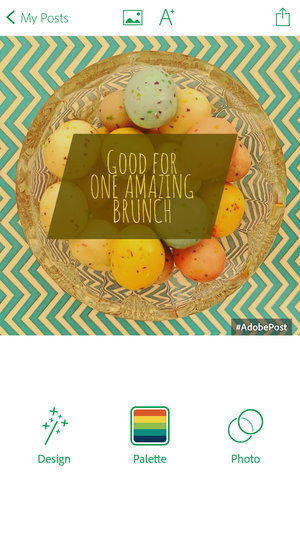 Adobe Post has tons of prebuilt designs that could even inspire IOU ideas. Books and entertainment and cashmere all make fine gifts, but experiences trump those every time. If you’re visiting your family, why not give the gift of tech support? But even if you won’t be close by, an IOU for a fun day out or a special favor later on can be the perfect thing, and you could get creative and whip one up with an app like Adobe Post. Just grab a picture (it includes tons, or you can use your own), and layer some text over it to make a little personalized gift certificate, good for a date night, babysitting, a batch of homemade cookies, or anything you can think of. You could print it out, or email or text it to family and friends so they know you’re thinking of them. Armed with one (or more!) of these last-minute gifts, all you have to do is relax and make the season bright. Or, you know, find an open gas station or 7-Eleven and give the gift of Gatorade and Skittles. Happy holidays!